This dish is a super “clean” and diet friendly recipe. It’s almost paleo (I think…I can’t keep the “rules” straight on this diet! ), gluten free, dairy free, low carb, etc. There is minimal chopping (learn here how I chop green peppers so I don’t have to deal with the seeds or the white ribs inside the pepper. And here on how to cut an avocado for a salad like this. )…and just takes a few minutes to prep! 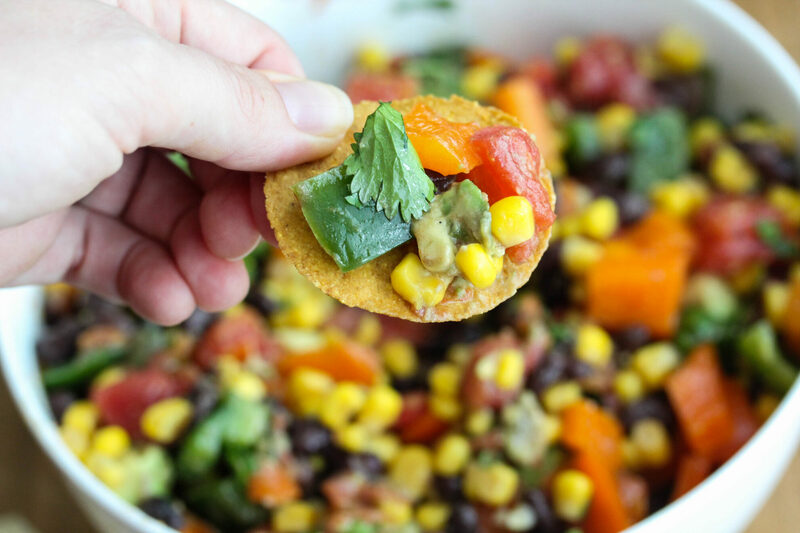 Win-win-win…Baja-Cali Black Bean Salad FTW! I’m calling this Baja-Cali because it has all the flavors and colors of Baja..red/green…lime/cilantro…plus an avocado mixed in as well. Hence the Baja-Cali prefix for this black bean salad. Hope y’all enjoy this refreshing black bean salad! In a mixing bowl, toss together all the ingredients. Add salt and pepper to taste. 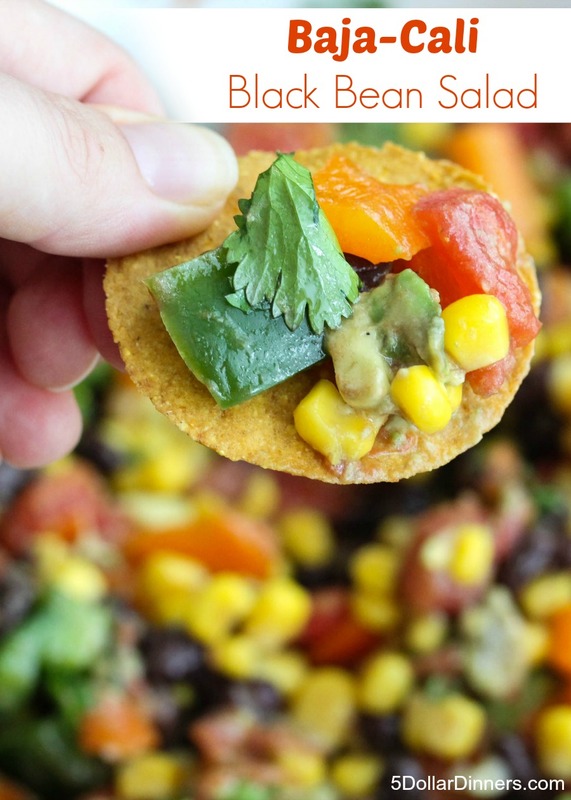 Serve the Baja-Cali Black Bean Salad as lunch or side dish…as is, or with tortilla chips. Enjoy! This sounds yummy and easy. Thanks. Btw, it’s not Paleo, they do not eat any grains or legumes so the corn and beans disqualify it. I made this tonight and tossed it with whole wheat rotini, minced garlic, and olive oil. It made an awesome one-pot meal and is crazy healthy for the kids. Best part – ready in 10 minutes! When you add Earth Balance mindful mayo to this, it makes the flavors pop.